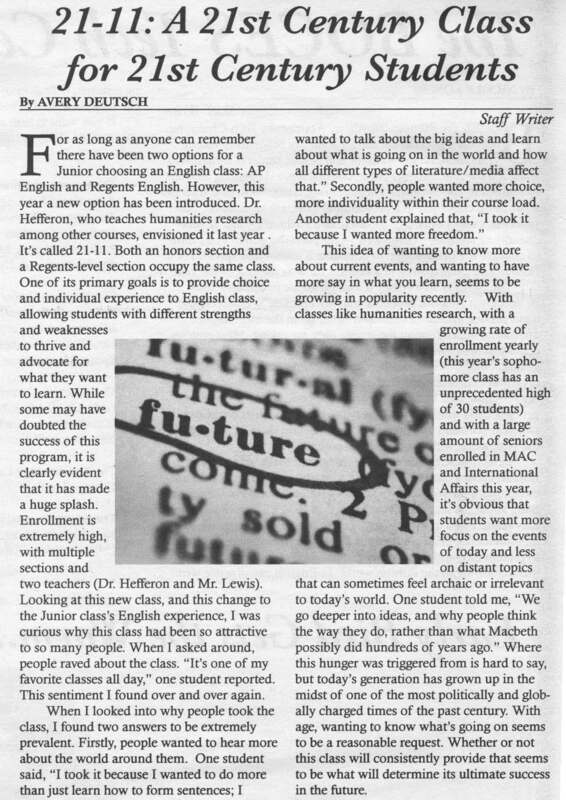 Today, I read the following article in our school newspaper about a new English course for juniors, which left me asking: How can we do this with science classes? [The Physics for Future Presidents] lectures are amazing, a must listen for every physics teacher or just people who would like to know some really interesting things about the role physics cool questions like, why can’t you build a spy satellite capable of reading a newspaper. Student in Muller’s physics class aren’t solving “block on an incline” problems. They are learning about the science behind global warming, alternative energies, terrorism, and cosmology. Physics for Future Presidents addresses the important physics needed to be an informed citizen of the 21st century. However, my big fear in a course like this (at least the way Muller conducts the class at Berkeley) is that students are simply learning only about the products of science and not experiencing the process of science for themselves. How can we successfully incorporate the immediate relevance of Muller’s 21st-century science with inquiry and scientific experimentation? In addition, I wonder how much of the underlying physics involved is taught with hand-waving explanations and plug-and-chug calculations. How can we successfully engage students in Muller’s 21st-century science while building conceptual models for how nature works? I am anxiously awaiting my copy of Muller’s text Physics and Technology for Future Presidents. In the meantime, how do you, dear readers, incorporate 21st-century science into your classes?